Do you ever just have a day when you want to channel Anne of Green Gables? No? Just me? Well, I saw this dress and thought it would be perfect for those type of days. I've had a "thing" for dressing up ever since I was little. I remember one particular time, we had a pioneer day at school and my grandma made me this awesome prairie skirt with matching bonnet. I mean, is that dedication or what? Don't even get me started on Halloween costumes. I have an on-going mental list of amazing costume ideas that will probably last me until I am 95. Where was I? Oh yes, this dress. 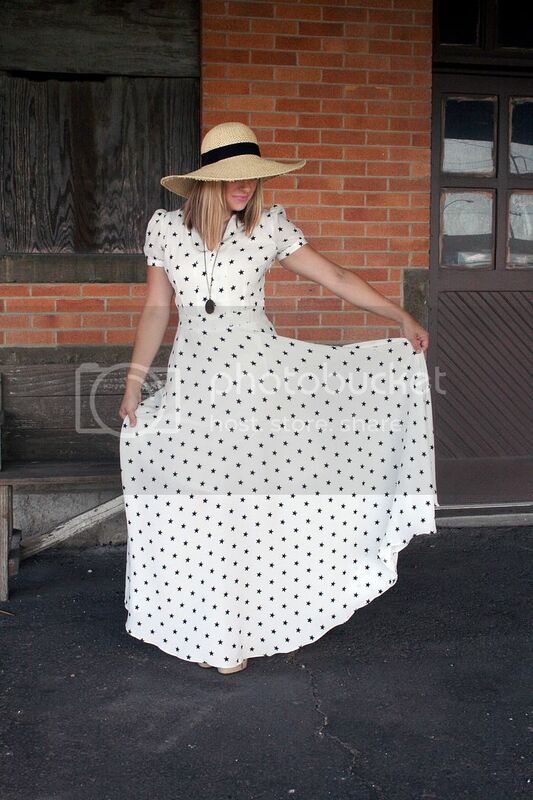 I saw this dress at Modcloth (where else?) 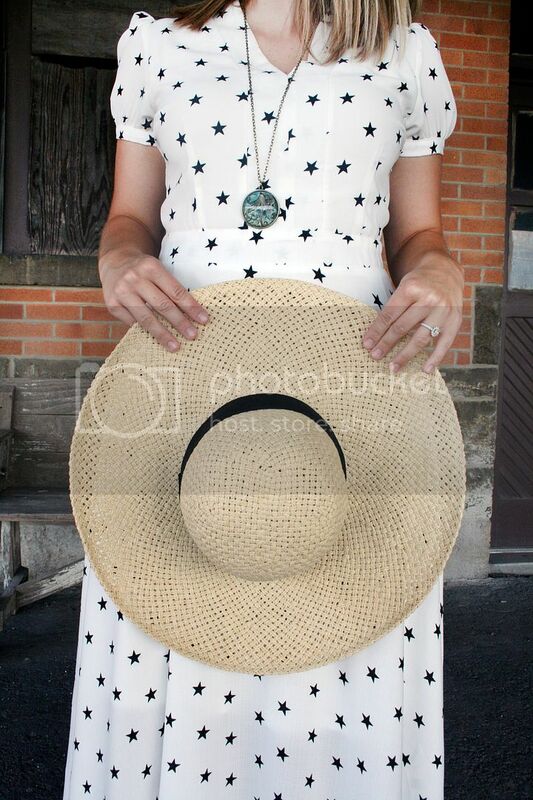 and thought, this will be perfect for my Anne of Green Gables cosplay. Totally kidding (it's not historically accurate). I did think, ooh this looks super twirly. I NEED IT. I picked up this hat at Target for my bachelorette weekend where we spent a lot of time poolside. It's perfect for summer because it's breathable and goes with everything. You know what else is great about this dress? I can KICK and STRETCH because the skirt is like a flamenco dancer's dream. It's perfect for kicking up your heels on a Friday and celebrating the beginning of a long weekend. Hope everyone has a great Labor Day weekend! Ooh! 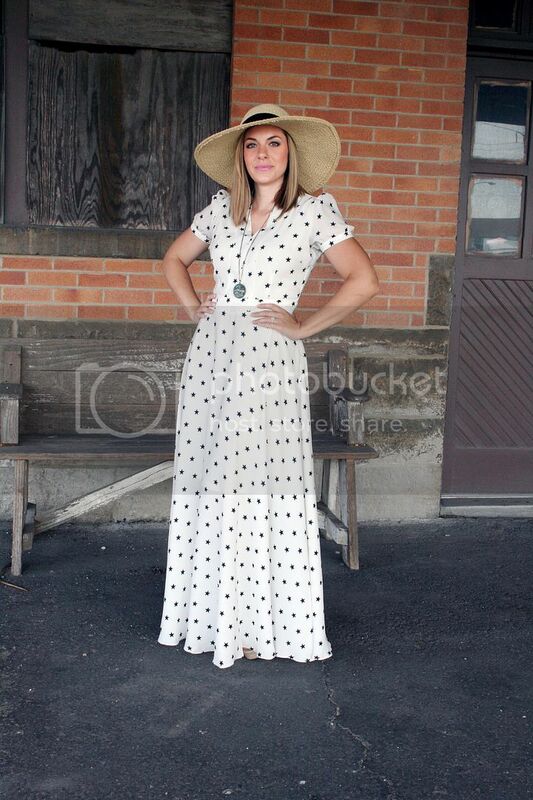 I love this dress (and the reference to Anne of Green Gables)! 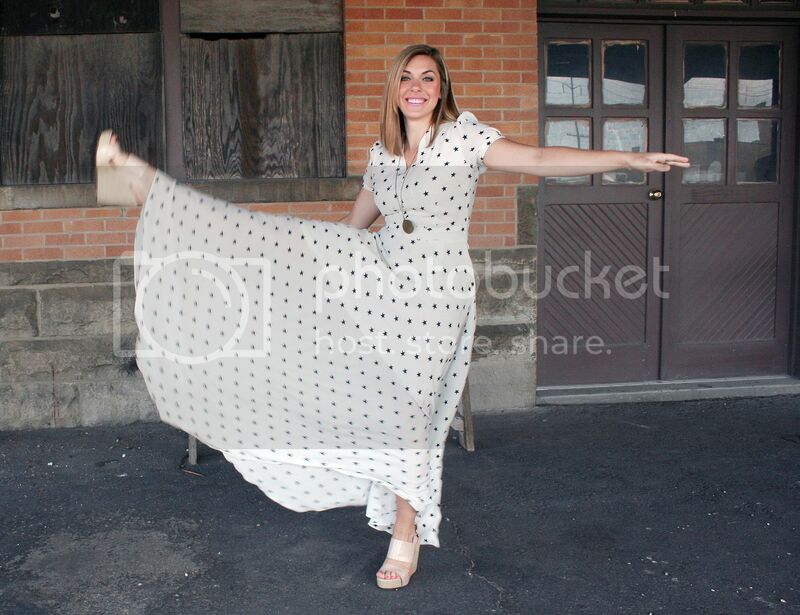 Every girl needs a super twirly dress!